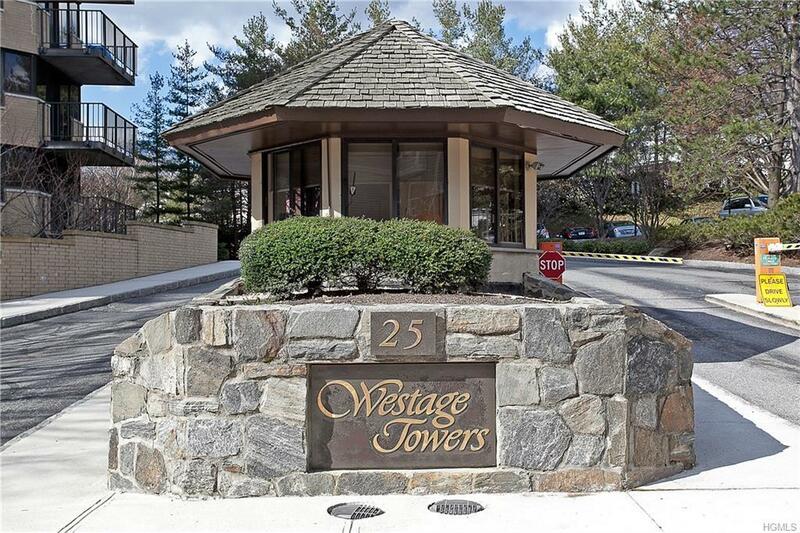 Luxury gated building, easy walk to RR & downtown White Plains. Two unassigned outdoor parking spaces, private storage, heated outdoor pool and gym at no extra charge. Apartment is freshly painted, brand new carpeting. Immediate occupancy. Gatehouse 24/7, conceirge 8 am to midnight 7 days a week. Two months common chares paid by buyer as non refundable capital contribution. Listing courtesy of Bobbie Eudene of Bhg Rand Realty.